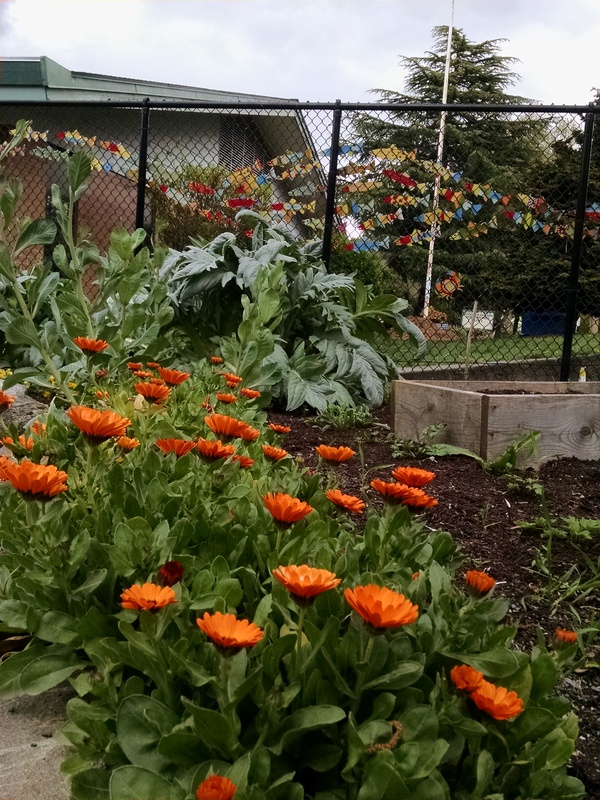 The School Garden needs more volunteers in the Olallie Garden for regular maintenance, watering, and garden projects of both the school garden and front entry landscape area. Did you know that the PTA has an agreement with SPS District? The agreement says that if the school garden volunteers take care of the front entry landscape area the District will not spray pesticides, which is something none of us want around our children! Your help keeps the spraying away! 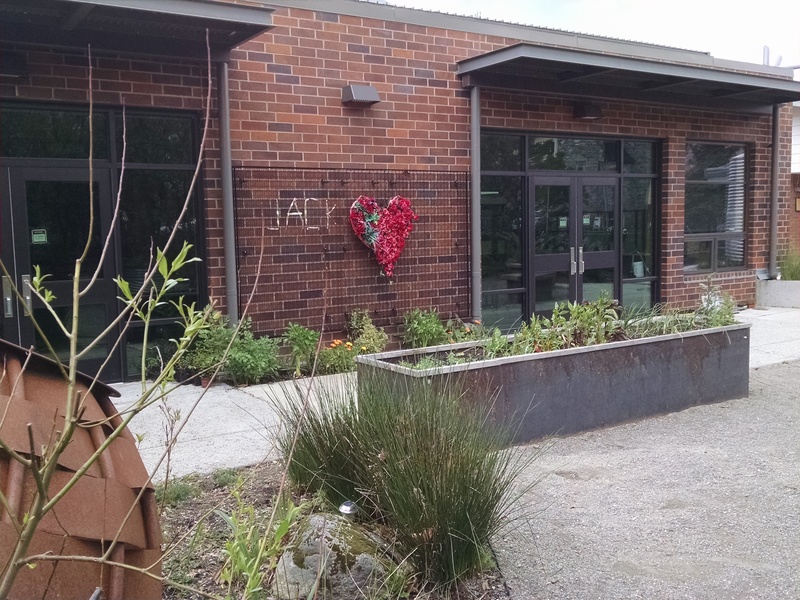 Watch for impromptu gardening dates before our next Gardening Day. Come for however long fits your schedule and bring the kids! **We also need some help moving two young trees out of the garden ASAP. If you can help, contact us. 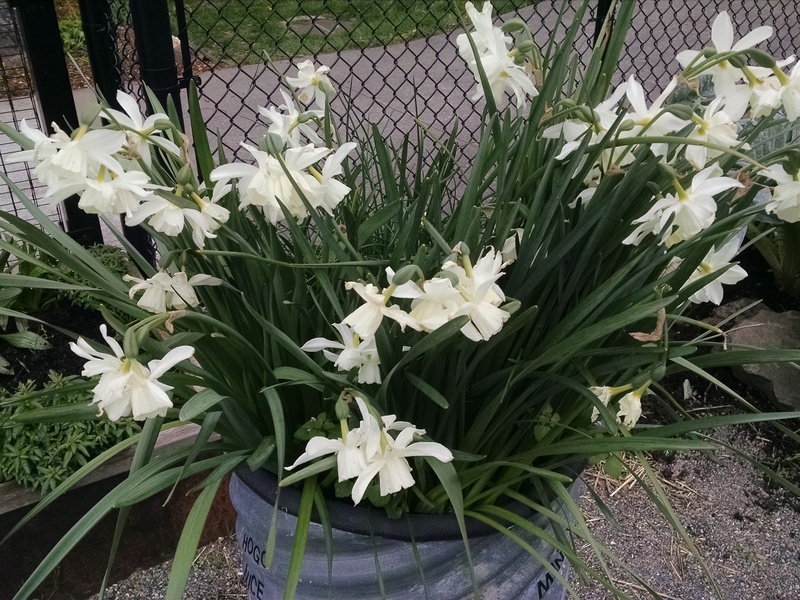 Garden volunteers – THANK YOU!! 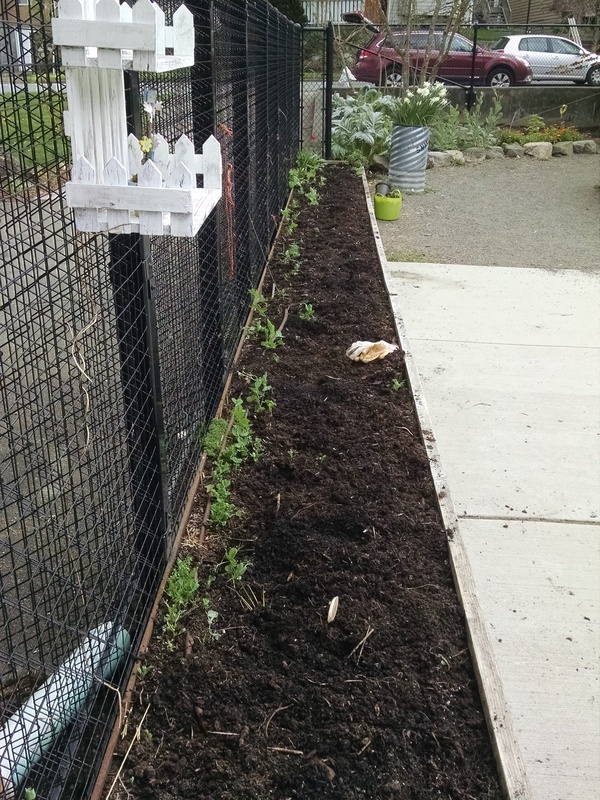 We mulched the entire front of the school, got the 2-bin composter in order, turned to soil, and planted some flowers. Some new volunteers, some repeater from last month (yeah! ), and 2 GLSA teachers and friends. Look for some impromptu gardening opportunities soon and Save the Day for the next Garden Day on Saturday, May 12 from 10am-2pm. 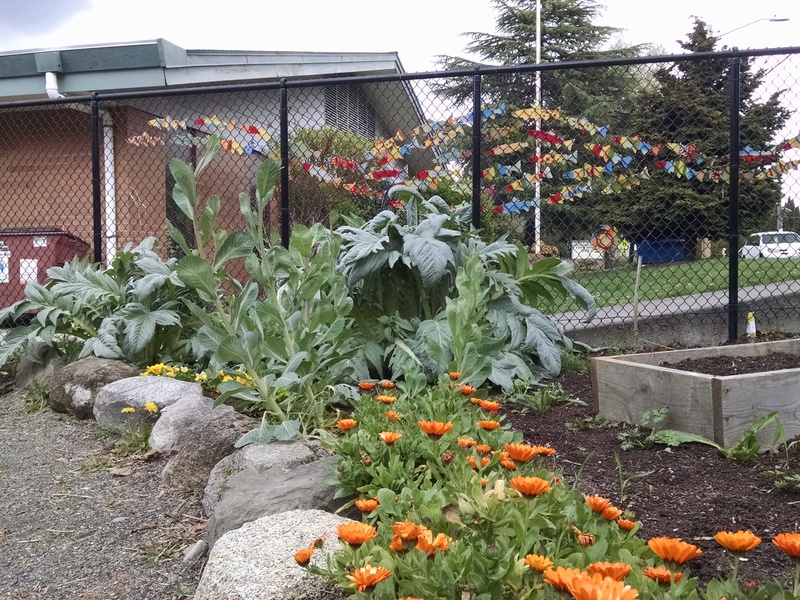 Come celebrate Earth Day in the school Garden! Our Gardening Day is Saturday, April 21 from 10am-2pm. We are planning to work on the front of the school. 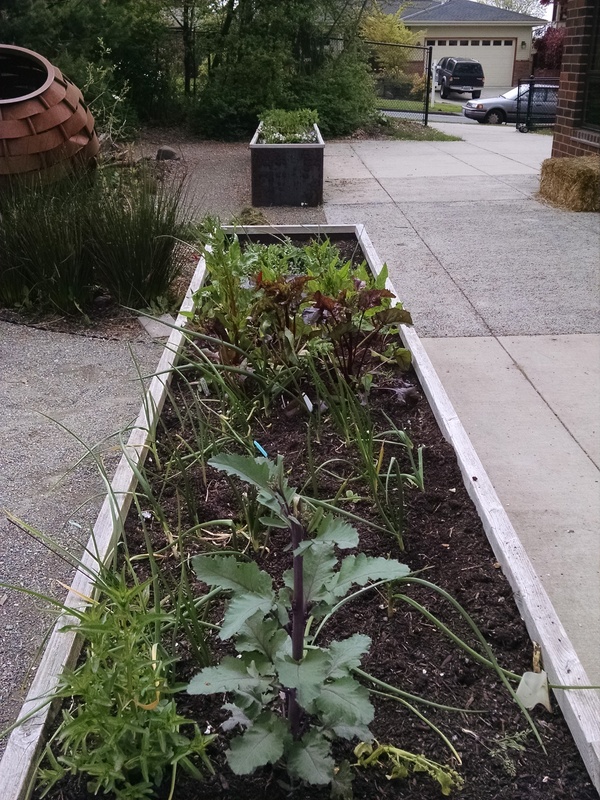 Remember your help with the garden and maintaining the front of the school keeps the district from spraying pesticide & herbicides around the school grounds. So come join us and volunteer, meet some new friends, bring some old friends…many hands make for light work!